trustno1, yep I went hunting for Kensington Runes and Minnesota Vikings info but hmmmmm???? When one uses search words "Minnesota Vikings" you end up with some results like Minnesota Vikings are in the play-offs and tickets are being sold by FlyI which are also selling some Golden Boys tickets for a show in March....darn, I sure wish I could go....but I'm stuck out here in CA...ROTFLM! And you kept on hinting and I searched at a play-offs time almost as-if that was what you wanted me to find out? Ok? I know you are eccentric! 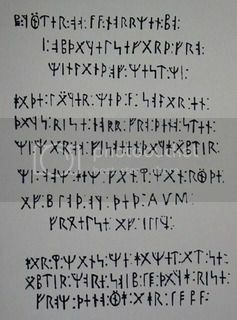 It's true that alot of the symbols or characters seen in the Runes, some of the Zodiac ciphers like the first one, and the Scorpion Letters are the same but IMO it's because Runes have their roots in Ancient Hebrew. So, when I look at some of the symbols or characters like for Tent Peg or Tent Floor Plan and Phi, then do Jacks/Zs math, I get campsite and latitude. When I see the symbol for wall, I know that's also seen in Lipstick Killer, so, looks like a link between the killers. When I see symbol for mouth, I know it's also seen at Black Dahlia communication which is also a form of a Crypotgraph because of it's images and cryptic clues. I also see at Scorpion Letters symbols or images that represent planets like Jupiter and Neptune which rule Pisces in-turn is a Costellation. I see the symbol for the sun which is the ruler of Leo, I see in other Z communications Taurus and well, I now understand about the Constellations in general and Leo, Cancer, Gemini, Taurus are on the Nautical Compass. The naval symbols are for alphabet, too, if I understand correctly but IMO, it's just clues that Zodiac and Scorpion author was in the Navy. And, I definitely could on....now by heart without really checking! Thank YOU cricket1090! Funny how things just happened to be mentioned can help in such a big way! how many communications were sent in all? I don't know this is all new to me also, still searching..
Z is on the right hand side and right above it looks to be a Army Ranger patch above it. I'd like to know what JT did in the Navy, as most Rangers hitched rides on zodiac's with the Navy in WWII. Just throwing this out there as it hit's me..
Hey, all. Even though I'd love to comment on these fascinating images, I think that for the most part, we are getting way ahead of ourselves on what we see that others new to the Zodiac cases don't, ....yet. So, I think for the time being we should focus more on narrowing in on Jack as Zodiac. Once that is done, especially after shows like "True Crime with Aphrodite Jones" the rest of other crimes like Texarcana Phantom (Zodiac Red with Rage and phantom in a communication) and even Black Dahlia, and so many that I wish to talk about, too....will just unfold before the public's eyes. Then they will cetch up to us! I think most of us at this MB see Jack as a prolific killer but when centering him as Zodiac, all the before and after will make sense to the general public, too. 1. The mathematical symbol (0) denoting absence of quantity; zero. 2. An Arabic numeral or figure; a number. 3. One having no influence or value; a nonentity. a. A cryptographic system in which units of plain text of regular length, usually letters, are arbitrarily transposed or substituted according to a predetermined code. b. The key to such a system. c. A message written or transmitted in such a system. 5. A design combining or interweaving letters or initials; a monogram. To solve problems in arithmetic; calculate. See Synonyms at calculate. 1. To put in secret writing; encode. 1. A piece of writing in code or cipher. Also called cryptograph. 2. A figure or representation having a secret or occult significance. Did you know that who we call Jack Tarrance was only born with initials? He was born JW Tarrance, Jr. Dennis says that it was Social Security that decided his name was logically John Walker Tarrance, Jr but his step-dad didn't like or want to be called John, wanted to go by Jack which is a nickname of John. Anyway, I put the bottom part of the Scorpion Letter here as Nanette Barto has ID'd Jack as the most likely author of the John Walsh Scorpion letters and there's a tie to New Jersey (Patricia Haust Letter of 1967 connected to B. Haust Einstein autograph seeker 1940s & Jack was a Mathematician) like what's mentioned in these letters. 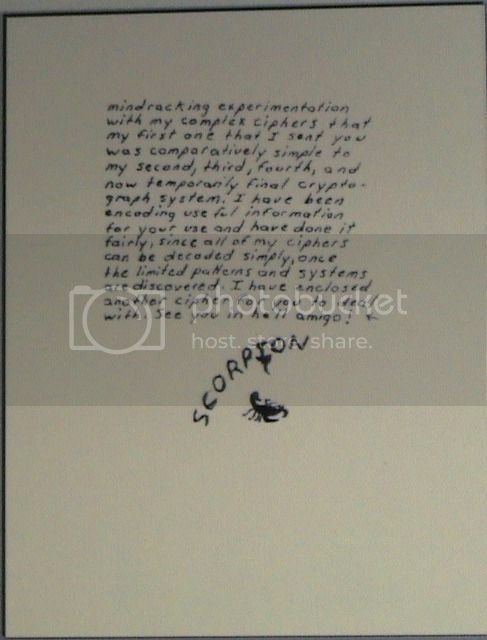 I do see a mix of alphabets like Jack and Z did ancient Hebrew, middle greek, etc, references to Astronomy, too in the Scorpion ciphers. So, the bottom of this one has a mention of a clue about the authors Cryptograph System that once you get it, you figure him out. The author hints at a series in the process. And the letters that Jack is believed to have wrote: Black Dahlia, Lipstick Killer do have some missives and personality traits that flow into Zodiac Killer and then the Scorpoin lettes which may very, well suggest that part of the sytem is the whole collection, like a whole puzzle, gathered up together. Nanette & I believe that the ending of the whole collection, the last part of the puzzle is the 2005 i-45 letter to Tim Miller. 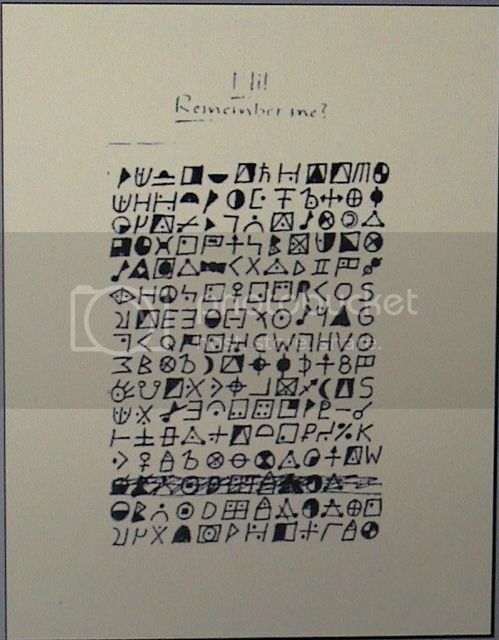 That said, the meanings of Cipher, Cryptograph and Cryptogram here help understand more about Jack as Jack was born with initials or a monogram with a surname and Jack must have known this about his birth origion. Monogram is a form of a cryptogram, the face or image of Tarrance with the monogram is a cryptograph. So, I believe I get it: JW "Jack" Tarrance, Jr is the Cryptograph System,.....his life, events that happened during it, who he was born to and grew up around, is his system from beginning to end. 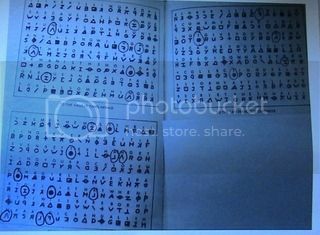 Once you understand JW Tarrance, Jr. is the Cryptograph System, what he did is easily decoded and understood. This is the first time I've seen this "Zodiac letter", and in my humble opinion, there's not a snowball's chance in hell that it is authentic. The text is far too reminiscent of bits and pieces of prior REAL letters (and some fakes too). There are too many cross outs, and I REALLY don't like the cross out in the middle of the word "almost". Also, no matter how many words Z misspelled, he would NOT misspell "AND" as "AN". Never. Nanette, I don't know if you are aware of these letters. I found them by looking at the blogs and document gallery from another Zodiac Killer site today. By posting these links I am in no way endorsing the other site. I am simply giving the links to let you see these letters in case they may be of use to you. It seems most people think these are forgeries, but I have no way of determining that and thought you might like to see them if you hadn't already. I never feel equipped to evaluate letters and such, so I again don't know what to make of the card. But I am sure you evaluate it and see if it is anything of value. If you already saw this one, sorry for reposting it. Wow sixtieschick, that's a very good find, the second link that you listed is very much in keeping with this query. Again this shows that the killer had inside information on his victim, for him to find Donna's sister under her married name shows organization on the part of the killer. Double postage on the letter, no use of the zip code, no abbreviation of South Dakota. It needs exploring. I like what you contribute to this forum sixtieschick. That Christmas card said to be in the possession of Donna's sister does seem to have a taunting line, doesn't it read; "ST. Donna...Guardian of the Pines"? Are we talking about that particular card? The cursive writing on it didn't strike me as being JT's though. That may be but as you know then it's an inappropriate remark for someone to call her; "St Donna, Guardian of the Pines", you know what I mean? It stinks. Maybe we should put this conversation on the Donna Lass thread. As you know Nanette; too many coincidences that point in the direction of JT for anyone to just write off or reject without studying the clues.